The GT-R has all-wheel drive to maximize traction under poor conditions, especially in ice and snow. The F-Type doesn’t offer all-wheel drive. Both the GT-R and the F-Type have standard driver and passenger frontal airbags, front side-impact airbags, side-impact head airbags, front seatbelt pretensioners, traction control and electronic stability systems to prevent skidding. Nissan’s powertrain warranty covers the GT-R 1 year and 10,000 miles longer than Jaguar covers the F-Type. Any repair needed on the engine, transmission, axles, joints or driveshafts is fully covered for 5 years or 60,000 miles. Coverage on the F-Type ends after only 4 years or 50,000 miles. There are over 7 times as many Nissan dealers as there are Jaguar dealers, which makes it much easier should you ever need service under the GT-R’s warranty. J.D. Power and Associates’ 2013 survey of the owners of three-year-old vehicles provides the long-term dependability statistics that show that Nissan vehicles are more reliable than Jaguar vehicles. J.D. Power ranks Nissan 19th in reliability. With 27 more problems per 100 vehicles, Jaguar is ranked 27th. In a Motor Trend race course test, the Nissan GT-R Track Edition was clocked 4.18 seconds faster than the Jaguar F-Type V-8 S (96.63 sec. vs. 100.81 sec.). The GT-R has a gallon more fuel capacity than the F-Type (19.5 vs. 18.5 gallons), for longer range between fill-ups. For better traction, the GT-R has larger tires than the F-Type (F:255/40R20 & R:285/35R20 vs. F:245/45R18 & R:275/40R18). 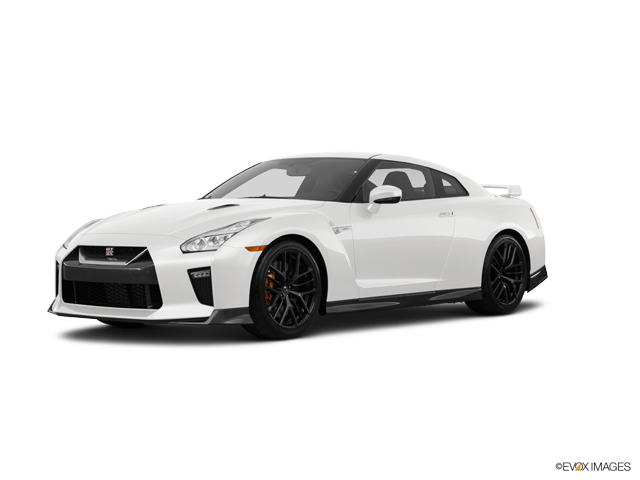 The GT-R’s 255/40R20 front and 285/35R20 rear tires provide better handling because they have a lower 40 series front and 35 series rear profile (height to width ratio) that provides a stiffer sidewall than the F-Type’s standard 45 series front and 40 series rear tires. For better ride, handling and brake cooling the GT-R has standard 20-inch wheels. Smaller 18-inch wheels are standard on the F-Type. Changing a flat tire near traffic can be dangerous and inconvenient. The run-flat tires standard on the GT-R can be driven up to 50 miles without any air pressure, allowing you to drive to a service station for a repair. The F-Type doesn’t offer run-flat tires. For a smoother ride and more stable handling, the GT-R’s wheelbase is 6.2 inches longer than on the F-Type (109.4 inches vs. 103.2 inches). The design of the Nissan GT-R amounts to more than styling. The GT-R has an aerodynamic coefficient of drag of .26 Cd. That is significantly lower than the F-Type (.36). A more efficient exterior helps the GT-R go faster and keeps the interior quieter. It also helps the GT-R get better fuel mileage. The GT-R has standard seating for 4 passengers; the F-Type can only carry 2. The GT-R has 1.1 inches more front headroom and 1.6 inches more front legroom than the F-Type. The GT-R’s instruments include an oil pressure gauge and a temperature gauge – which could save your engine! Often ‘idiot lights’ don’t warn you until damage has been done. The F-Type does not have an oil pressure gauge. The GT-R’s standard power windows have a locking feature to keep children from operating them. Jaguar does not offer a locking feature on the F-Type’s standard power windows. The GT-R has a standard locking fuel door with a remote release located convenient to the driver. A locking fuel door helps prevent vandalism, such as sugar in the tank and fuel theft. The F-Type doesn’t offer a locking fuel door. The GT-R’s sun-visors swivel front-to-side to block glare from the side windows. The F-Type’s visors are fixed into the windshield header. The GT-R has a standard dual zone air conditioning allows the driver and front passenger to choose two completely different temperatures so people with different temperature preferences won’t have to compromise. This makes both the driver and front passenger as comfortable as possible. Dual zone air conditioning costs extra on the F-Type. The GT-R was selected by Automobile Magazine as their 2009 Car of the Year. The F-Type has never been chosen.